Bleser, G.; Almeida, L.; Behera, A.; Calway, A.; Cohn, A.; Damen, D.; Domingues, H.; Gee, A.; Gorecky, D.; Hogg, D.; Kraly, M.; Maçães, G.; Marin, F.; Mayol-Cuevas, W.; Miezal, M.; Mura, K.; Petersen, N.; Vignais, N.; Santos, L-P.; Spaas, G.; Stricker, D.: Cognitive Workflow Capturing and Rendering with On- Body Sensor Networks (COGNITO). German Research Center for Artificial Intelligence, DFKI Research Reports (RR), Vol. 13-02, 2/2013. Feld, M.; Meixner, G.; Mahr, A.; Seissler, M.; Kalyanasundaram, B.: Generating a Personalized UI for the Car: A User-Adaptive Rendering Architecture. In: Proceedings of the 21th International Conference on User Modeling, Adaptation and Personalization (UMAP). International Conference on User Modeling, Adaptation, and Personalization (UMAP-2013), June 10-14, Rome, Italy, Pages 1-3, Springer, 6/2013. Feldmann, S.; Loskyll, M.; Rösch, S.; Schlick, J.; Zühlke, D.; Vogel-Heuser, B.: Increasing Agility in Engineering and Runtime of Automated Manufacturing Systems. In: Proceedings of the International Conference on Industrial Technology. International Conference on Industrial Technology (ICIT-13), February 25-27, Kapstadt, South Africa, IEEE, 2013. Gerber, T.; Johnsson, C.: Vertical Integration of Decision-Relevant Production Information into IT systems of Manufacturing Companies. In: Theodor Borangiu; André Thomas; Damien Trentesaux. Service Orientation in Holonic and Multi Agent Manufacturing and Robotics. Chapter 10, Vol. 472, ISBN 978-3-642-35851-7, Springer, Heidelberg, 2013. Gorecky, D.; Campos, R.; Chakravarthy, H.; Dabelow, R.; Schlick, J.; Zühlke, D.: Augmented Assembly – An Assistance System for Human-Centered Assembly. 6th International Conference on Manufacturing, Science and Education (MSE), Sibiu, Rumänien, Juni 2013. Gorecky, D.; Campos, R.; Chakravarthy, H.; Dabelow, R.; Schlick, J.; Zühlke, D.: Mastering Mass Customization – A Concept For Advanced, Human-Centered Assembly. In: Assembly Manufacturing Engineering; Jun 2013, Vol. 11 Issue 2, p62. Gorecky, D.; Loskyll, M.: Informatik für die industrielle Produktion. In: Digital Engineering Magazin, 08/2013, 2013. 12th IFAC/IFIP/IFORS/IEA Symposium on Analysis, Design, and Evaluation of Human-Machine Systems, August 11-15, 2013, Las Vegas, NV, USA. Joint Virtual Reality Conference (JVRC), Paris, France. Gorecky, D.; Mura, K.; Lezama, T.; Zühlke, D.: A Vision of Human-centered Production: Concepts and Technologies to Assist Human Workers in Future Factories. Session at 12th IFAC/IFIP/IFORS/IEA Symposium on Analysis, Design, and Evaluation of Human-Machine-Systems, August 11-15, 2013, Las Vegas, NV, USA. Gorecky, D.; Mura, K.; von Falkenhausen, I.; Apold, J.; Arlt, F.: Spielebasiertes Training gestalten und integrieren – Eine Fallstudie aus der Automobilmontage. In: atp edition, Vol. 55 (5), S. 888-895, 2013. Hodek, S.; Langfinger, M.; Schlick, J.: Evaluation pattern for self-configuring communication systems leveraging Plug&Play field device integration. Angenommen für: IFAC Conference on Manufacturing Modelling, Management and Control (MIM), St. Petersburg, 19.-21. Juni 2013. Hodek, S.; Meierer, N.; Schlick, J.; Zühlke, D.: Development Approach for Cyber-physical production components. 6th Int. Conf. on MANUFACTURING SCIENCE and EDUCATION (MSE 13), Sibiu, 12.-15. Juni 2013. Kümmerling, M.; Heilmann, C.: Seamless Mobility: Individual Mobility Profiles for a Better Usability of Shared Vehicles. In: Constantine Stephanidis (Hrsg.). HCI International 2013 – Posters’ Extended Abstracts. Human Computer Interaction International Conferences (HCII-2013), 15th, July 21-26, Las Vegas, NV, USA, Pages 318-322, No. 374, ISBN 978-3-642-39475-1, Springer, Berlin, New York, 7/2013. Kümmerling, M.; Heilmann, C.; Meixner, G.: Towards Seamless Mobility: Individual Mobility Profiles to Ease the Use of Shared Vehicles. In: S. Narayanan (Hrsg.). Analysis, Design, and Evaluation of Human-Machine Systems. IFAC/IFIP/IFORS/IEA Symposium on Analysis, Design, and Evaluation of Human-Machine Systems (IFAC HMS-2013), August 11-15, Las Vegas, Nevada, USA, Pages 450-454, Vol. 12, ISBN 978-3-902823-41-0, International Federation of Automatic Control, 2013. 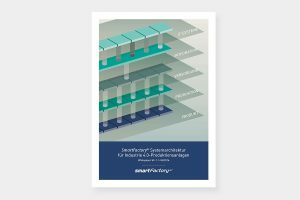 Loskyll, M.: Industrie 4.0 – Kernparadigmen der vierten industriellen Revolution. Loskyll, M.; Gorecky, D.; Schlick, J.: Cyber Physical Systems – Die Vision wird konkret. Loskyll, M.; Gorecky, D.; Schlick, J.: Industrie 4.0 – Die Vision wird konkret. Loskyll, M.; Schlick, J.: Cyber-Physische Produktionssysteme. In: at Automatisierungstechnik, Schwerpunktthema Cyber-physische Systeme, 10/2013, 2013. Meixner, G.; Orfgen, M.; Kümmerling, M.: Evaluation of User Interface Description Languages for Model-Based User Interface Development in the German Automotive Industry. In: Masaaki Kurosu (Hrsg.). Human-Computer Interaction. Human-Centred Design Approaches, Methods, Tools, and Environments. Human Computer Interaction International Conferences (HCII), 15th, July 21-26, Las Vegas, NV, USA, Pages 411-420, Lecture Notes in Computer Science (LNCS), Vol. 8004, ISBN 978-3-642-39231-3, Springer, Berlin, New York, 7/2013. Mura, K.; Petersen, N.; Huff, M.; Ghose, T.: IBES: a tool for creating instructions based on event segmentation. In: Frontiers in Psychology 4:994. Ollinger, L.; Wehrmeister, M.; Pereira, C.; Zühlke, D.: An Integrated Concept for the Model-Driven Engineering of Distributed Automation Architectures on Embedded Systems. In: Proceedingss of the IFAC Workshop on Intelligent Manufacturing Systems. Presented at the IMS 2013, São Paulo, Brazil, 2013. Ollinger, L.; Zühlke, D.: An Integrated Engineering Concept for the Model-based Development of Service-oriented Control Procedures. In: Proceedings of the IFAC Conference on Manufacturing Modelling, Management and Control. Presented at the MIM 2013, IFAC PapersOnLine, Saint Petersburg, Russia, pp. 1441–1446, 2013. Ollinger, L.; Zühlke, D.; Theorin, A.; Johnsson, C.: A Reference Architecture for Service-oriented Control Procedures and its Implementation with SysML and Grafchart. In: Proceedings of the 18th IEEE International Conference on Emerging Technologies and Factory Automation. Presented at the ETFA 2013, Cagliari, Italy, 2013. 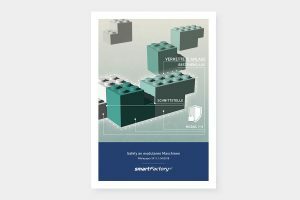 Pirvu, B-C.; Schlick, J.; Hodek, S.; Zühlke, D.: Conceptual overview of a smart-factory architecture. Schlick, J.; Loskyll, M.: Informationszugriff als Effektivitätsmotor der Produktion der Zukunft. Schmitt, M.: Using Consumer Electronics and Apps in industrial Environments – Development of a Framework for Dynamic Feature Deployment and Extension by using Apps on Field Devices. In: Proceedings of the IPC 2013, November 22-23, Sibiu, Romania, 2013. Schmitt, M.; Meixner, G.; Gorecky, D.; Seissler, M.; Loskyll, M.: Mobile Interaction Technologies in the Factory of the Future. IFAC/IFIP/IFORS/IEA Symposium on Analysis, Design, and Evaluation of Human-Machine Systems. August 11-15, Las Vegas, USA, 2013. 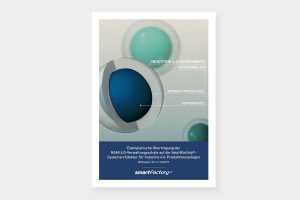 Schmitt, M.; Zühlke, D.: Smart Phones und Tablets in der industriellen Produktion – Nutzerfreundliche Bedienung von Feldgeräten. IN: atp edition – Automatisierungstechnische Praxis, Vol. 3, S. 58-65, Deutscher Industrieverlag, 2013. Seißler, M.; Breiner, K.: Kontextsensitive Benutzungsschnittstellen – Interaktion für die Fabrik von morgen. In: atp edition – Automatisierungstechnische Praxis, 03/2013, S. 50-55, DIV Deutscher Industrieverlag, 2013. Seißler, M.; Breiner, K.; Schmitt, M.; Asmelash, S.; Kölsch, J.: SmartMote: A model-based Architecture for context-sensitive User Interfaces in Future Factories. In: Proceedings of the IFAC/IFIP/IFORS/IEA Symposium on Analysis, Design, and Evaluation of Human-Machine Systems (IFAC HMS-13), August 11-15, Las Vegas, Nevada, USA, 2013. In: Theodor Borangiu; Andre Thomas; Damien Trentesaux. Service Orientation in Holonic and Multi-agent Manufacturing and Robotics. Pages 213-228, Springer, 2013. Vignais, N.; Miezal, M.; Bleser, G.; Mura, K.; Gorecky, D.; Marin, F.: Innovative system for real-time ergonomic feedback in industrial manufacturing. In: Applied Ergonomics, Vol. 44 (4), S. 566-574, 2013. Zamfirescu, C-B. ; Pirvu, B-C.; Schlick, J.; Zühlke, D.: Preliminary Insides for an Anthropocentric Cyber-physical Reference Architecture of the Smart Factory. In: Studies in Informatics and Control, ISSN 1220-1766, vol. 22 (3), pp. 269-278, September 2013.